Hello! OMG I was so tired yesterday! I don't why, it's not like I did anything in particular to tire me down. I had a very chill and nice morning. Then I worked out, went to 7 Eleven and bought the new vegan Ben & Jerry and that was like it. I had no energy to do anything else. I suggested to a friend that we could meet up after she got off work but I regretted that later because I was so tired. I guess it was just one of those days. I spent most of yesterday inside my apartment. The weather was so bad thought that I really didn't care. It rained so loudly that I couldn't hear the TV while I was working out. It was crazy! Sometimes I actually do think that summer rain can be kind of cozy. Just laying in bed all day watching your favorite shows. 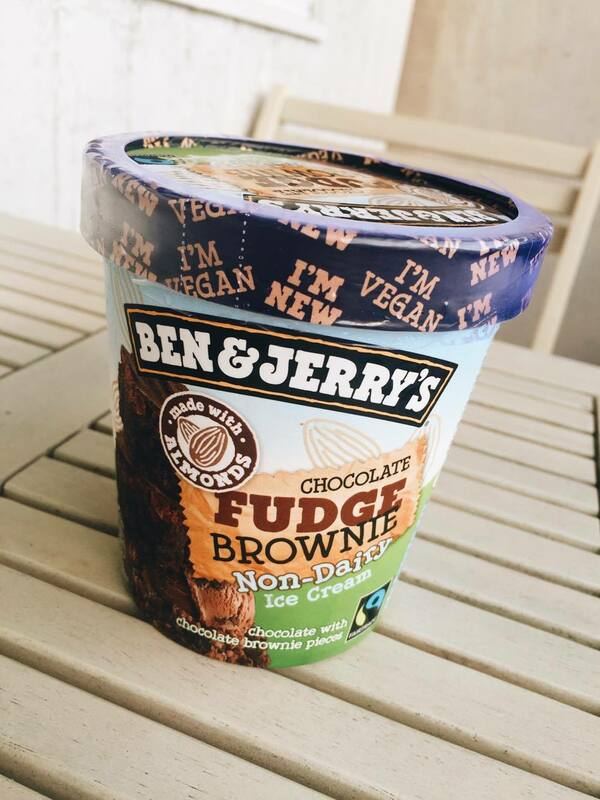 But back to that vegan Ben & Jerry though! Delicious! Love it! I only bought one flavor because didn't know if it be good or not. Plus some of the comments on B&J's instagram weren't that favorable. I just had to try it anyway. I am the kind of person that if I want to try something like a new food, exercise or see a new movie I don't care about the reviews. If I want to try it, I'll try it because I want to. You can't let other peoples judgement dictate how you live your life.